It's already Tuesday again so it time for another Tuesday's Tails post. I would like to introduce Jake. Jake is with the New Beginnings Dog Rescue in Overland Park, Kansas. 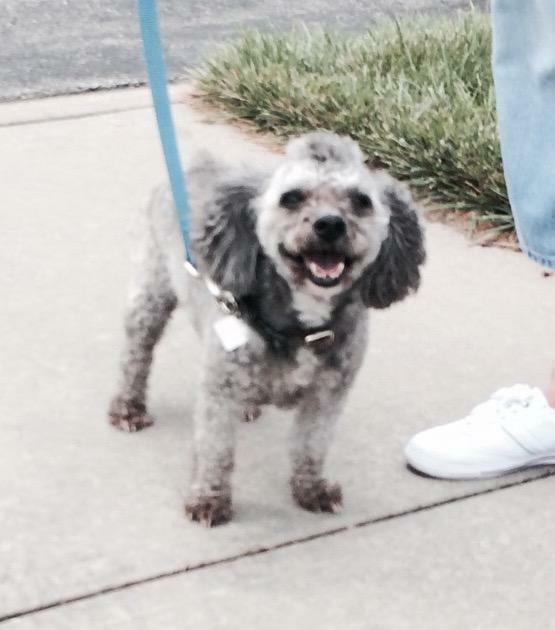 Jake is a 9 year old male poodle / shih tzu mix. Nine is pretty much middle age for Jake. He weighs 16 lbs. Jake is looking for a new home due to no fault of his own. His owner had to give him up because she had too many dogs. Jake is a very well behaved, low key, sweet dog. He has a very nice disposition. He is house trained and gets along great with other dogs. His adoption fee is $200 which includes neuter, shots, heartworm test, dental and deworming. If you or if you know of anyone who would be interested in Jake please check out his Petfinder Bio.